The team of Club Natacion Montjuic, visit Budapest in 1976 to play against the legendary Hungarian players Farago and Csapo. 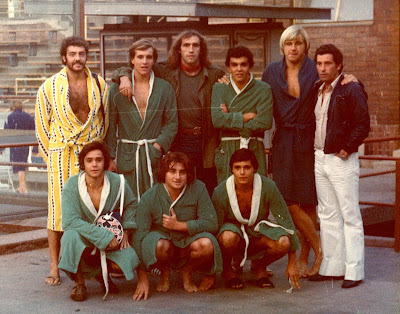 Standing L-R: Joan Sans, Jordi Alonso, Tamas Farago, Enric Bertran, Gabor Csapo, Imre Szikora. Squatting L-R: Jaume Fite, Villarrubias, Joan Lopez.